Most people spend 4-8 hours at water park. 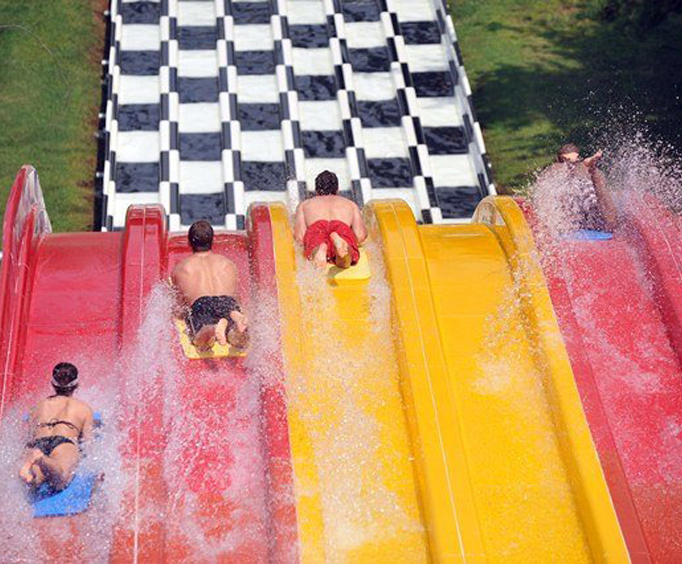 The Nashville Shores Water Park is a fun-filled, 1 million gallon water park that will not only thrill the entire family, but is also a must-have Nashville experience. Keeping fun and family in mind, Nashville Shores was created to be the ultimate water park experience for people of all ages. Glide through one of eight slides, take a dip in the wave pool, or tan while the kiddos play in one of the kid-friendly play areas. If you don't have children, don't worry! There are plenty of things for you to do as well, including the Suntan Lagoon and the two bars within the park. With the convenience of rented lockers and free tubes and life jackets, you can enjoy the park with peace of mind. Featuring different types of fun such as water slides and pools, Nashville Shores truly offers something for everyone whether you are looking for relaxation or a fun-filled afternoon. Music City Racer: With six lanes of fun, this slide winds up to a five-story platform. From the platform, you will be sped down the football-field-long slide at speeds topping at 25 mph. The six lanes add a fun spark of competition! Big Scream: A three-story slide with a vertical drop that is sure to thrill even the most daring members of your party, the Big Scream is a rafter ride that will have you screaming. This ride allows two guests to one raft, making it a fun adventure for the family. Tennessee Twisters: On this body-slide, guests zoom down four-stories. The speedy spiral is sure to excite! Thunder & Lightning: Two slides with a twist: you will be plunged into darkness and light when you ride down this slide. Twin Cyclones: These twin slides will have you zooming down three stories of spiralling fun. Breaker Bay Wave Pool: A huge wave pool that will send guests spinning in the waves. A lounge area is nearby for those who wish to relax on land. The pool is over 25,000 square feet and is fun for the entire family. Castaway Creek Lazy River: A more than 1,000 foot long river, the Castaway Creek Lazy River is the perfect getaway from the thrills of the park. Relax and sunbathe as you drift down the peaceful river. Along the river are geysers, waterfalls, and sprayers. This lazy river is the widest in the state of Tennessee. 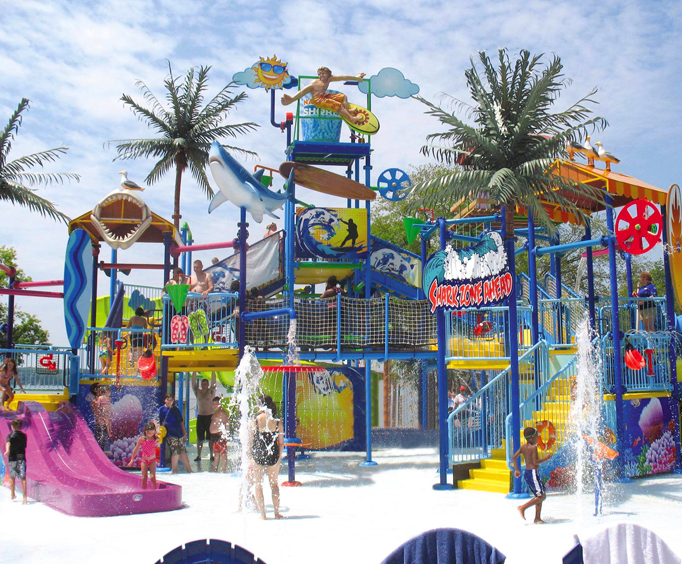 Kowabunga Beach: A water park for the kiddos, Kowabunga Beach is four stories tall and boasts thousands of gallons of water and over 70 interactive activities. Four water slides and a giant bucket of water make a fun stop for the children. Children over 54 inches are not permitted on this attraction, making Kowabunga Beach a kid-friendly park. Suntan Lagoon: Enjoy a view of Percy Priest Lake as you soak in the sun. Wacky Pond: A fun pool for the kids, the Wacky Pond has a pirate ship and water mushrooms that will be sure to bring whimsy to a child's experience. Lily Pad Pool: The Lily Pad Pool is a fun attraction that sees who can make it to the other side of the pool hopping from lily pad to lily pad. Do you have what it takes to conquer the Lily Pad Pool? As well as the new Barefootin' Bay that was added in 2017, guests can also check out the amazing concerts that go on. Free with admission, people are sure to have a great time dancing and singing along. For amazing bluegrass music, join Carly Pearce for a fantastic performance. Having performed since she was 11, she has created a name for herself and has even performed with the likes of the Eli Young Band, Hunter Hayes, and Lucy Hale. For blues music, join this Mid-South group for a rhythm and blues show you won't soon forget. Blending the sounds of Memphis music together with stylings like soul, pop, and classic rock, they'll create music that all ages will be able to dance and sing along with. This group of Nashville artists dress like pirates and create a swashbuckling experience for families of all ages. With pirate-y sing-alongs, Irish jigs, and more, this blast-from-the-past provides a unique concert experience. Join this funky group for a fun day of music. They got their start in Nashville having met as freshmen at Belmont. They blend together pop and funk for an energetic adn explosive show. Creating a show with a variety of musical genres, the Skayllwags features the trio of Kristine, Mike and James. Guitar and vocals are on point in this fun concert series. This amazing water park was created with fun and family in mind, and it makes for a great addition to any Nashville vacation package. 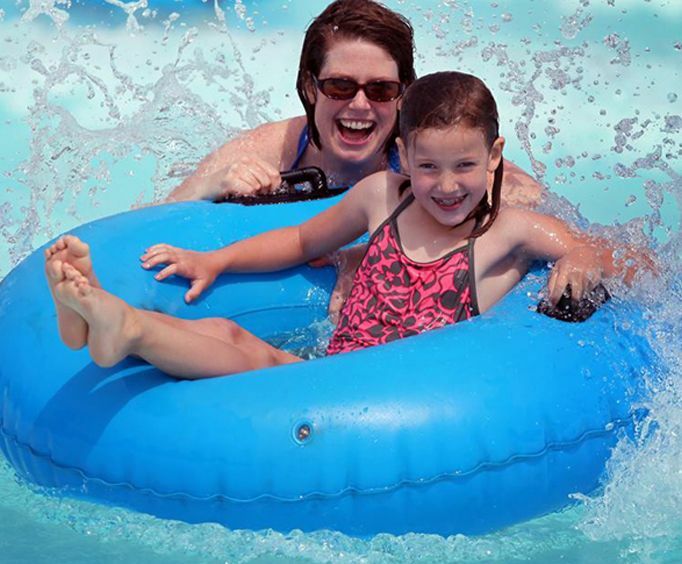 From the slides to the water attractions, to the wave pool and the kiddie pools, Nashville Shores Water Park truly offers something for everyone. Are wheelchairs and strollers available at Nashville Shores Water Park?If so, is there a rental fee? Are lockers available at Nashville Shores Water Park? If so, is there a fee? Are tubes available at Nashville Shores Water Park? If so, is there a fee? Are alcoholic beverages served at Nashville Shores Water Park? Is smoking allowed inside Nashville Shores Water Park? We enjoyed it! Grown people too!!! "This was a fun day." This was a fun day. The weather cooperated, and the park wasn't overly crowded.